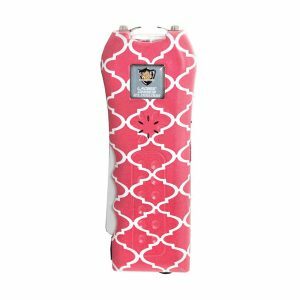 Designed for women: When it comes to personal protection, one size does not fit all. The Ladies’ Choice is made with a narrow width and smaller finger indentions to fit comfortably in a woman’s hand. The length was also increased to give you an extended reach and keep the electricity at a safe distance away from your hand. Squeeze and Stun technology: When it comes to protecting yourself, saving seconds can save your life! 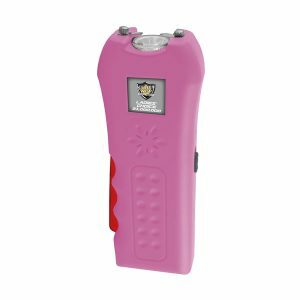 Even in a panic situation, the stun gun can be activated quickly and easily by simply squeezing it. This new technology saves you valuable time by not having to fumble around for the right button to push and your tight grip around the unit prevents it from being knocked out of your hand. 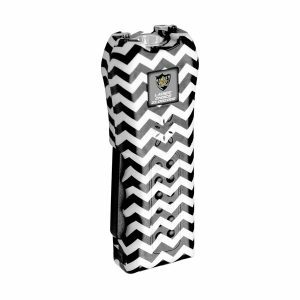 Lifetime Warranty: The Ladies’ Choice 21,000,000 is made by Streetwise Security Products-the leader in the personal protection industry and comes with a lifetime warranty. See the enclosed instruction manual for complete details.